OP Ed: NATO’s Existential Crossroad | "NATO 2.0: Reboot or Delete?" 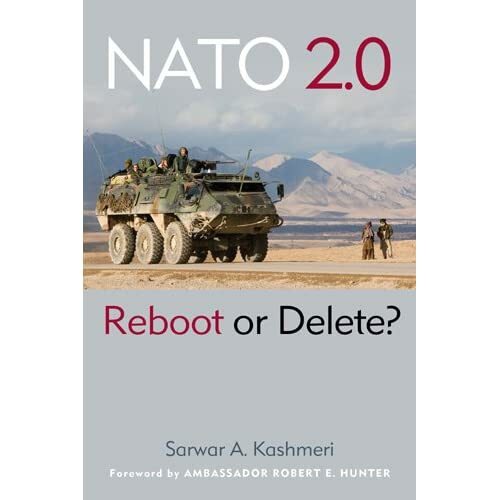 "NATO 2.0: Reboot or Delete?" NATO used to be the world’s most formidable military alliance. But, its original reason for existence, the Soviet Union, disintegrated years ago, and its dreams of being a world cop are withering in the mountains of Afghanistan. Meanwhile, the European Union’s Common Security & Defense Policy (CSDP) has deployed twenty-seven successful military/civil missions from Africa to Asia in the last ten years. Through CSDP, Europeans are increasingly taking charge of managing their own foreign and security policy. NATO is no longer the sole and preeminent Euro-Atlantic security actor. But watching NATO fade into irrelevance would be a mistake. It is a tried and true platform to harness the resources of North America and Europe. NATO’s future usefulness depends on its willingness to accept its reduced role, to let the EU handle the day-to-day security needs of Europe, and to craft a relationship with CSDP that will allow North America and Europe to act militarily together, should that ever become necessary. It is time for NATO 2.0, a new version of NATO, to fit the realities of an ever more integrated Europe in the twenty-first century. Its come to this—military commanders in Afghanistan must consult an operations checklist before virtually every mission. They must be sure the NATO forces being sent out are properly fitted to the mission. Some NATO member countries don’t want their soldiers in a shooting zone, others won’t let military intelligence be shared between all NATO countries, and so on. A bit different from General Eisenhower leading his superb integrated fighting machine up the beaches of Normandy on D-Day. If NATO can no longer deploy an integrated fighting force, for what can the venerable Alliance be used in the future? It is a serious threat to NATO’s existence as a military alliance. I continue my conversation with Mark Mardell, North American editor of the BBC to flesh out my thoughts.